Park Farm Pig Roasts is an established family owned business specialising in event catering and hog roasts. Since 2004, Park Farm Pig Roasts has been providing top quality hog roasts for events big and small, and have been awarded a 5 star food rating by the Food Standards Agency. Working from our farm in the beautiful Wye Valley, we cater to events throughout Monmouthshire, Gloucestershire and Herefordshire. We also provide catering further afield upon request as our excellent reputation has spread far and wide. When providing our full catering service, we serve our home reared pork. We take great care in the welfare of our pigs during their lives to ensure the flavour and quality of the pork. Offering a wide range of catering menus, we can cater to your unique needs, sourcing local and homemade ingredients where possible. We also offer equipment, marquee and luxury toilet hire so that whatever the occasion you can be sure to impress your guests. Whatever the occasion, our delicious pig roasts will delight and satisfy your guests. We can cater to any number of guests from 50 to 500 people, with our well-regarded friendly and professional service which we pride ourselves on, leaving you to do the all-important hospitality. Our event catering services offer complete mobility, being ideal for outdoors and marquee venues, but also able to be moved inside incase of rain for carving and serving. Our chef will cook and serve the hog roast and any other food you have chosen from our menu. We always arrive in plenty of time to set up before the event and after everyone has eaten, we’ll leave the venue as spotless as we found it. If you would like to do your own hog roast, you can hire our spit roast machine, already prepared with one of our delicious ready-to-cook pigs if needed. We deliver and collect the machine with the gas and temperature probe, and will provide full instructions on how to use the machine safely. 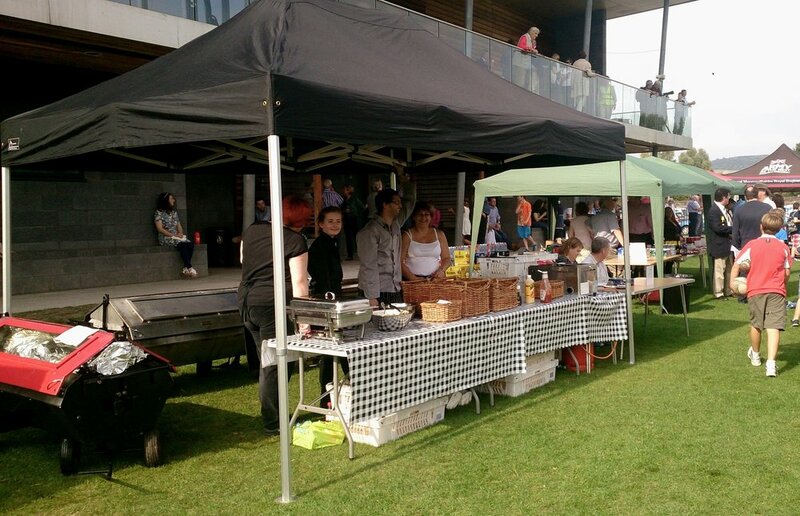 We have our own small food tent to serve from and we can also hire out a 40’ x 20’ marquee which we can set up for you. We also offer luxury portable toilets for your event, which we will deliver and collect as part of our service. At Park Farm, we breed free range Gloucester Old Spots crossed with Tamworth pigs, taking great care that they live contented lives, free to forage in their woodlands and enjoy a natural diet free from concentrate feeds. Tamworths are regarded by breeders and butchers as the ‘aristocrats’ of the pig world. They have a handsome rich gingery red colouring and they are elegantly long legged as well as having useful long snouts - making them popular with organic gardeners for clearing out vegetable patches! The Tamworth pig produce fabulous marbled pork and excellent bacon, in fact the Tamworth came top in a taste test carried out by Bristol University in the 1990s. 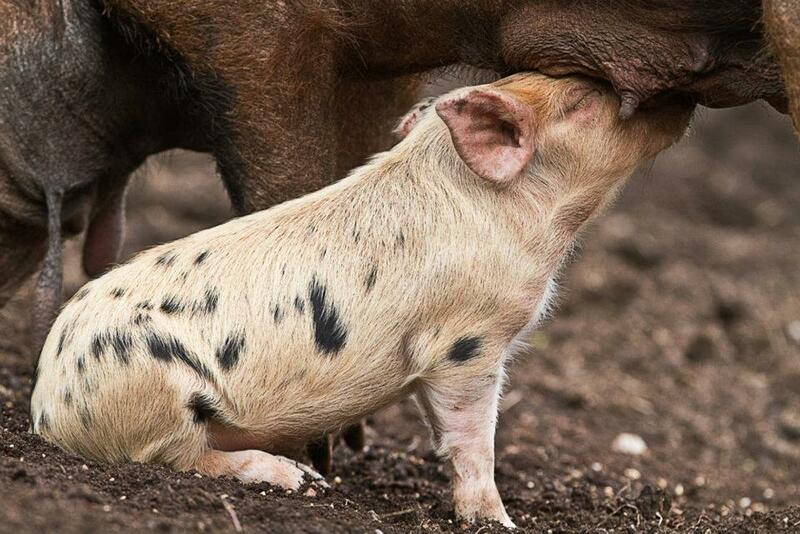 One of the oldest spotted pedigree breeds in the world, the Gloucester Old Spot is a placid and easygoing pig by nature. They live happily outdoors and they are hardy enough to shrug off a British winter. Connoisseurs and discerning customers claim that Gloucester Old Spots produce the best tasting pork and bacon. We wouldn’t disagree! The listed menu options are just a flavour of what we can offer. Each event that we cater for is truly unique and we endeavour to tailor our menus to suit your needs. We guarantee that all of our food will be fresh, seasonal, of the highest quality and – most importantly – regional. Our own Baked Potato Oven guarantees crisp jackets and snowy white flesh - perfectly served with lashings of butter. Our much talked about bread rolls are made by a local baker. We offer plain white, brown, wholemeal or seeded. Homemade apple sauce and stuffing. Rest assured that the apples fell of the tree somewhere in Monmouthshire! If you are looking for caterers for your party or special event or have any queries, please contact Tim Warmington Gardner to discuss our catering facilities and services. If you have a date for your event, then we recommend contacting Tim by the form below or by email ensuring to leave your contact details so that we can confirm your date promptly. We look forward to hearing from you.